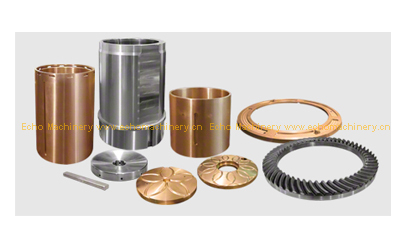 Echo Machinery offers copper alloy centrifugal bushes or bronze bushes.They are mainly used in applications which require high pressure,high speed,high impact and fatigue resistance,lower coefficient of friction,crack resistance and non-caking properties.Most importantly,they can protect related shafts. 1) High load capacity, good anti-wearing. 2) Low coefficients of friction. 6) No contamination by oil or grease.